Would you like the most important moments of your life to be unforgettable for you and your guests? At Hotel La Palomba in Mondavio is possible! Our staff will be at your service to help you organize your special moments, with a wide range of menus and the possibility to choose between the various rooms of the structure. The marvelous setting of the Renaissance village of Mondavio is the perfect setting for your civil or religious wedding. Sala advising the Town Hall, where there is the precious painting attributed to Olivuccio di Ciccarello da Camerino (1388-1439). Apollo Theater, originally from the late eighteenth century, restored in 1887, is an authentic jewel of remarkable suggestion for the harmony of the spaces and the elegance of floral decorations with festoons, acanthus and grotesque racemes, enhanced by the beautiful ceiling veil with dancing putti in a circle around Apollo. On the tower of the Rocca Roveresca, from which you can enjoy a breathtaking view. Church of S. Francesco: located in the main square. Tradition has it that the church was built by the will of St. Francis of Assisi on the occasion of his stop at Mondavio in the thirteenth century. Church of S. Pietro and Paterniano: the building was founded in the fourteenth century, but was renovated in 1563 by Bartolomeo Genga. The dedication of the church to Saints Peter and Paterniano dates back to 1444. Our restaurant has two rooms, manageable at your convenience. "Del Camino" Room: the original salon characterized by a warm and elegant atmosphere, where the large central fireplace and the imposing antique wooden table are mastered. Ideal for the Autumn-Winter period, it can comfortably hold up to 150 guests. "La Veranda" Room: a new large, fresh, bright and modern room, characterized by large windows that act as wings for the garden and the terrace directly overlooking the pool, the latest gem of the structure. In these spaces it is possible to eat outside and set up the buffet. 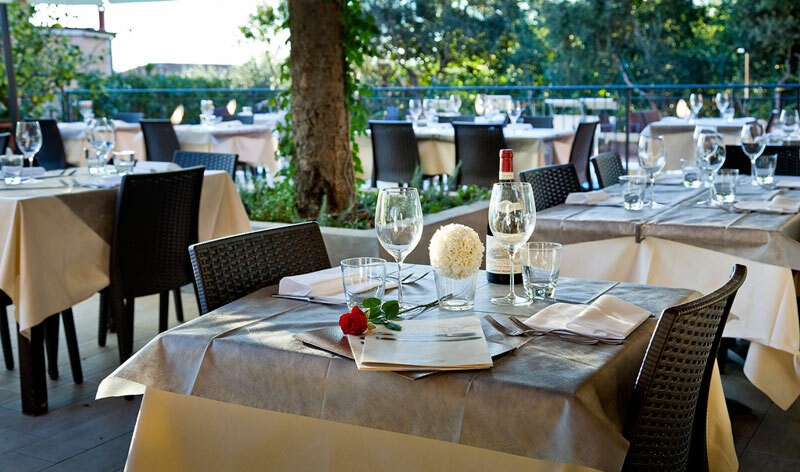 The Chefs of the La Palomba Restaurant will advise you on the most suitable menu for you. We will be happy to welcome the newlyweds and their guests in the rooms of our hotel, in our outbuilding and in the apartments located in the village. 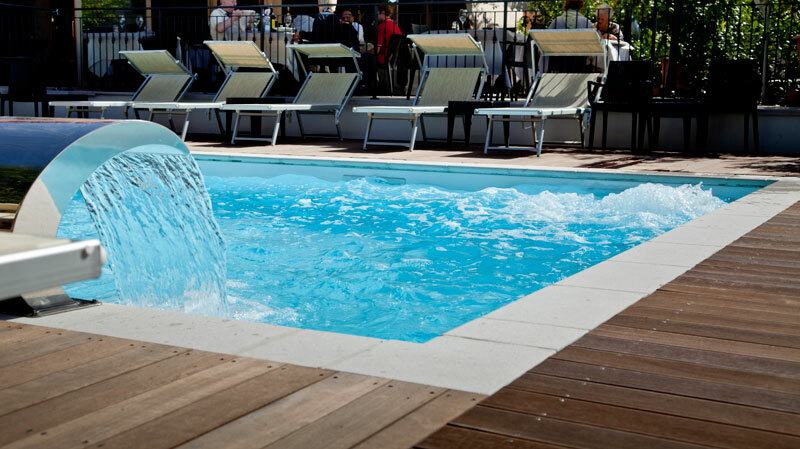 We will put at your disposal all our services, including the swimming pool and the solarium area. A pleasant surprise is reserved for couples who will get married in La Palomba, as a tribute to them for their wedding night in our hotel. Hotel and restaurant La Palomba is immersed in the typical Renaissance atmosphere of the historic village of Mondavio.